We go above and beyond by offering things like on-time or it's free guarantee, as well as 24/7 emergency service – at no extra charge. When we say customer satisfaction is our top priority we mean it, and we prove that. 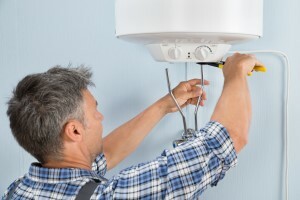 It is important to know a little about some of the most common heating repairs, partly because some of them are avoidable! Failure to get regular maintenance has a big impact on the performance and condition of your system. It makes more sense to invest in our Service Plus Club and get ongoing service than to wait for costly emergency repairs to materialize. Did you know that neglecting to change your filter can cause your system to perform poorly, or possibly shut down altogether? Filters should be changed monthly, especially during times of peak HVAC use. The thermostat is the brain of your system and if it doesn't work neither will your heating. Make sure it is on and set to the right temperature before calling in a heating contractor.